He has spent the last decade traveling and speaking at PMI conferences (and others) around the world, including two PMI Global Congresses. His work is focused on bringing out the leader within every Project Manager, helping them to learn the tools to inspire their teams to greater levels of success and productivity. 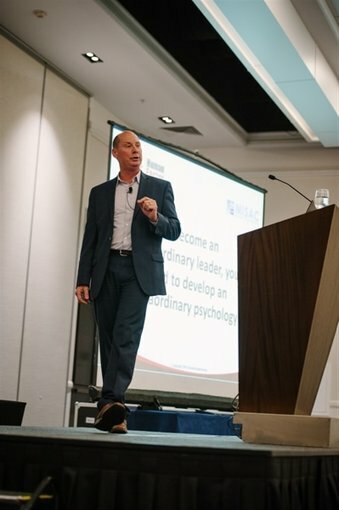 Kevin’s trainings help leaders to decipher the “human operating system” in order to understand at a deeper level how people think, see, and respond to the world around them. Having this level of understanding provides them with an unprecedented ability to influence their teams and create an environment that is designed to operate the way we’re designed to operate, leading to increased engagement, higher productivity, and greater overall success. His work has been praised as being on the cutting edge of personal growth and professional development. "If I don’t make it practical, understandable, and immediately useable, then it’s a waste of time. And I refuse to waste people’s time. It’s far too valuable."